There are just 11 weeks left in 2018. In other words, 78.9% of the year is already over. Done. Gone. That is time we will never get back. …and really, when you factor in the week between Christmas and New Year’s, we’re really talking about 10 weeks of business left to do this calendar year. This is always a weird time of year for me. As a sales and marketing consultant dealing largely in advertising, this is the time of year when many of my clients are simply done buying for 2018 and are 100% focused on their 2019 planning – If I screw up the last few months of the current year, my year ahead might be pretty lean. On the other hand, a significant number of clients are still trying to earn as much 2018 business as they can, and certainly as a good sales professional, that is my goal as well. 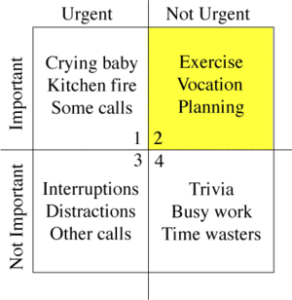 In the parlance of Stephen Covey’s Time Management Matrix, this is the time of year when I feel like I spend all of my time in Quadrant One, where everything is important and urgent. Dr. Covey encouraged us to stay out of quadrants three and four as much as possible, because nothing of true value comes from those. The ideal is to make as much time as possible for things in Quadrant Two, those items that are extremely important, but because they are not on fire at the moment, end up getting pushed aside. What I tend to find is that when I don’t make time for things in QII, they often find their way into Q1 at some point. For example, if I have a proposal due for a client at some point in the future, and don’t get to work on that right away, I’m likely to realize the proposal is due in the next 24 hours, and then will spend the day scrambling to finalize my thoughts and recommendations. So, fellow sales and marketing professionals, what is that thing on your desk that is “important, but not (yet) urgent?” Perhaps it is a proposal you’ve been putting off, perhaps it is a call you need to make, or perhaps it is taking a day off to recharge your batteries (Covey called this “Sharpening the Saw“) for a final push to end the year. 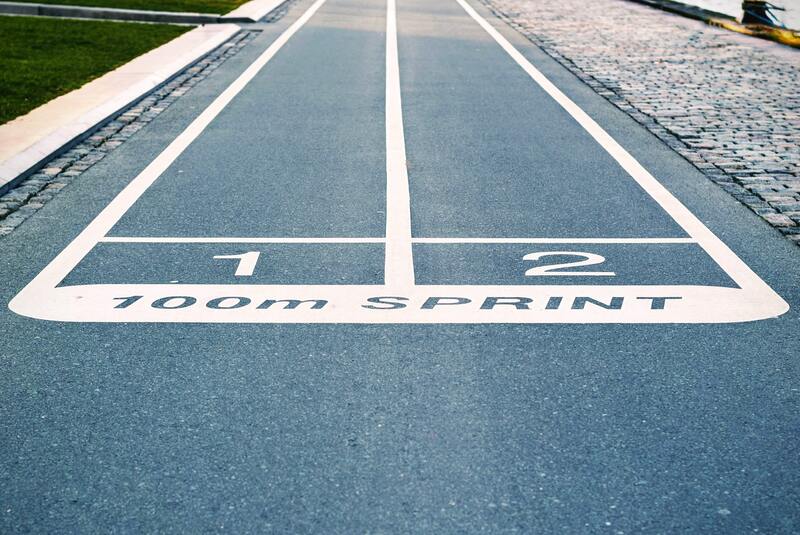 Whatever it is, take a moment to consider your priorities, and what you need to do to Finish Strong. After all, 2019 will be here before we know it.